GARDAÍ ARE INVESTIGATING a fire at a hotel in Co Leitrim last night in what is the second suspected attack on the premises, which has been earmarked for asylum seekers. The fire was discovered shortly after 9.15pm by onsight security personnel and fire was quickly brought under control causing a small amount of damage, Gardaí said. 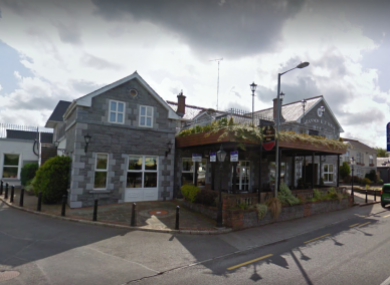 After 8pm on 9 January, a fire broke out at the Shannon Key West Hotel in Roosky in what gardaí were investigating as a possible arson attack. A demonstration of around 100 people was held in response to that incident, as people condemned the incident, while others called for an end to Direct Provision. The hotel was expected to house 80 asylum seekers from January. Last night, three units of the fire brigade attended the hotel. A full garda technical examination will take place this morning and local traffic diversions are in place. Gardaí are appealing for any witnesses in relation to the incident who may have been in the area between 8pm and 9.30pm last night to contact Carrick-on-Shannon Garda Station on 071 9650510. Leitrim and Roscommon United Against Racism condemned the attack. “We are shocked and saddened yet again by this incident,” it said in a statement. We want to send a clear message that the tiny minority of people who were involved in these attacks on the hotel and those who support them by no means reflect the vast majority of the people living in Leitrim or Roscommon. The group understands that the asylum seekers were due to move into the hotel in the next week or two. The group also called on the government to end its Direct Provision policy. Email “Second fire in 5 weeks at Leitrim hotel earmarked for asylum seekers”. Feedback on “Second fire in 5 weeks at Leitrim hotel earmarked for asylum seekers”.